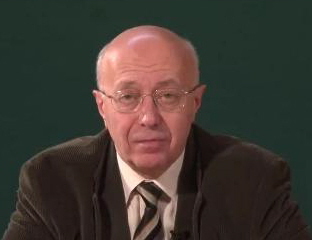 Sergey Kurginyan. Biography. | Interportal "Fascism-XXI at your door"
Home » Sergey Kurginyan » Sergey Kurginyan. Biography. Sergey Ervandovich Kurginyan was born in Moscow in 1949. Graduated from the Moscow Institute of Geological Exploration with major in geophysics (1972). Ph.D. in Mathematical Sciences, Fellow Institute of Oceanology, USSR Academy of Sciences (1974-1980). Finished the Shchukin's Theatre School (1983), specializing in "drama directing." Up to 1986, he was a senior research fellow at the Laboratory of Applied Cybernetics, Moscow Institute of Geological Exploration. Since January 1989 the organizer and president of the International Fund "Experimental Creative Center" (aka - Center of Kurginyan). Creator, longtime director and chief director of the theater-studio "on the boards." The founder and leader of socio-political movement “Essence of Time”.